The nights are drawing in and the temperature has plummeted which can only mean one thing… Christmas is coming! 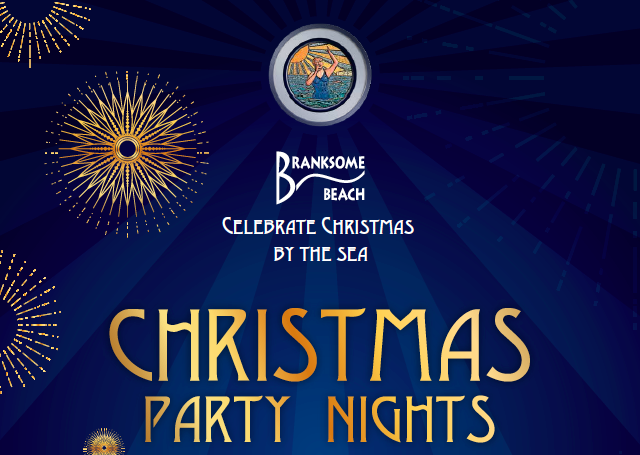 So why not celebrate by the sea this season by joining one of our festive party nights? Priced at £30per person, they include a disco by our resident DJ, table novelties, crackers and FREE car parking. After a delicious 3 course meal you can dance the night away and enjoy fabulous cocktails and drink offers. Our set party nights take place every Friday from 27th November to 18th December but we also offer exclusive use. To reserve your table please call 01202 767235. 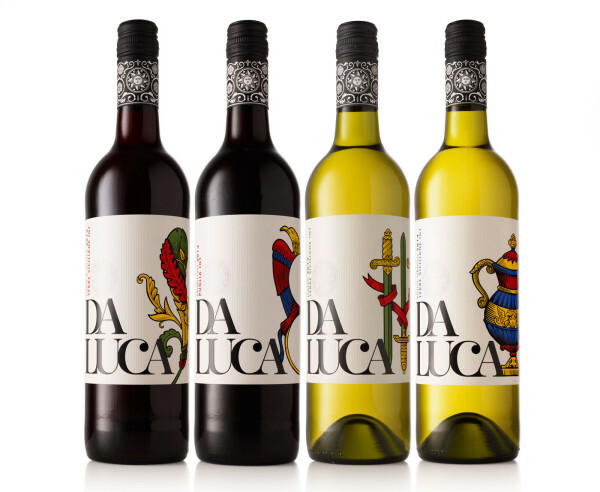 We are delighted to be offering a range of super-premium Italian wines from Da Luca alongside our regular wine list. As you may know we take our wines very seriously, offering some superb New World wines alongside classic French, and even an award-winning dessert wine. Da Luca’s fresh and peachy Prosecco (£24.95) has been a firm favourite on the menu and we were so impressed by Da Luca’s aromatic Pinot Grigio and rich, brooding Primotivo that they are here to stay …at least for the next few months. In our own words the Pinot Grigio is an aromatic white which has hints of rose petals and pink grapefruit and the Primitivo, is a dark red bursting with flavours of black cherry and cinnamon. At only £20 per bottle these are excellent on the palate and the pocket! In addition to our fabulous new summer menu the chefs at Branksome Beach will be busy creating specials for our evening dining service. Each Thursday we will be bringing you a different weekly menu, featuring seasonal fish and seafood as the stars of the show; from mussels and lobster to whole fish and tiger prawns. Don’t forget to book as we fill up quickly during July & August! So along with sunshine and longer days the summer also brings a new menu and evening openings for Branksome Beach. Along with our famous favourites such as classic Fish and Chips and our popular Branksome Beach Burger we’ve added some brand new items for you. Try our succulent Monkfish “Scampi” and Fries, our delicious Braised Pork Belly with celeriac remoulade or our Confit Duck Salad with caramelised figs, orange, fennel and pine nuts. That’s just a selection of our newly created dishes and we’ve even created alcoholic ice-lollies just for adults! Choose from Mojito or Raspberry Vodka. Don’t forget as of Thursday 22nd May we will be open 7 days a week until 10pm. With a selection of evening only specials and our 2 for £22 offer available until the end of June there’s no excuse not to pop down. We are now offering evening private hire of our beautiful restaurant for 50 guests or more and will work with you and your budget to create a bespoke event or party. Branksome Beach is the perfect spot for a special occasion so get in touch for further information and to arrange a a chat over your requirements. We are holding a Recruitment Open Day on Monday 3rd March between 10am-4pm at Branksome Beach . This is a fantastic chance to visit our restaurant, meet the staff and speak to our Management team about current career opportunities within our Restaurant. We’re excited to introduce you to the newest members of our team, Kate Cross and Ben Brown. As our General Manager, Kate Cross heads up the crew. Having worked for the Banquets Group for five years, Kate successfully took on the running of Branksome Beach in summer 2013 and is a an experienced and valued member of our team. Creating culinary delights is Ben Brown – an inventive and ambitious chef who we’re happy to have on board. Having trained at the Farnborough College of Technology, Ben worked for the Banquets Group for over eight years and has even cooked for restaurants in Australia and New Zealand. Whether home or away, Ben has always lived and worked by the coast and as such shares our passion for seafood – to our delight! We’re keen to keep you informed of our activities, so do check in with us regularly for our latest news. 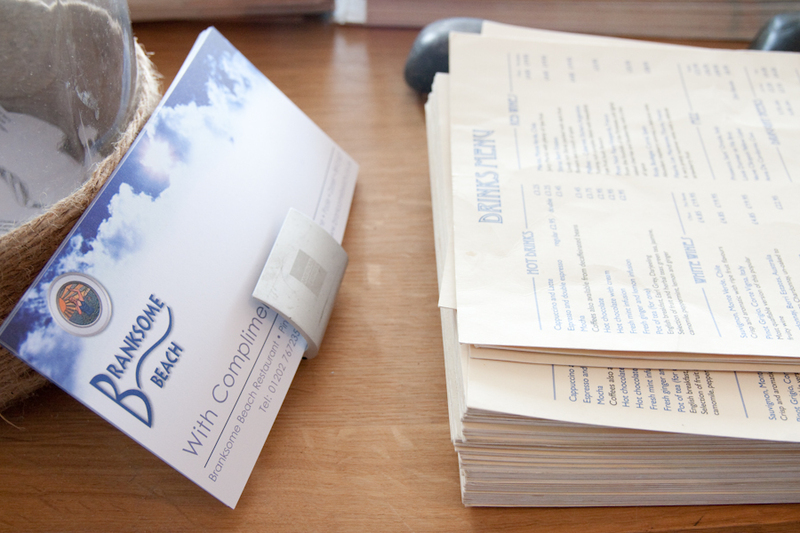 Or, to receive regular updates and offers, sign up to our mailing list here.